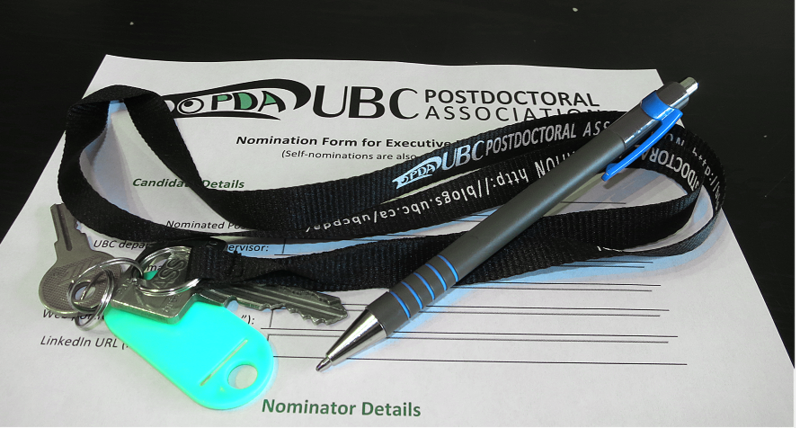 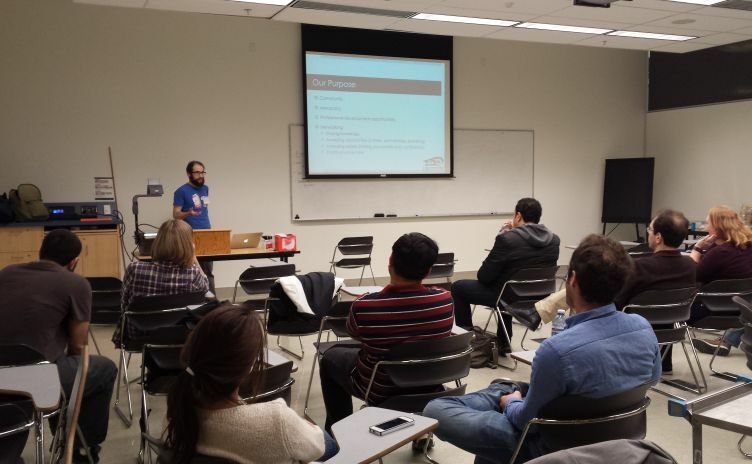 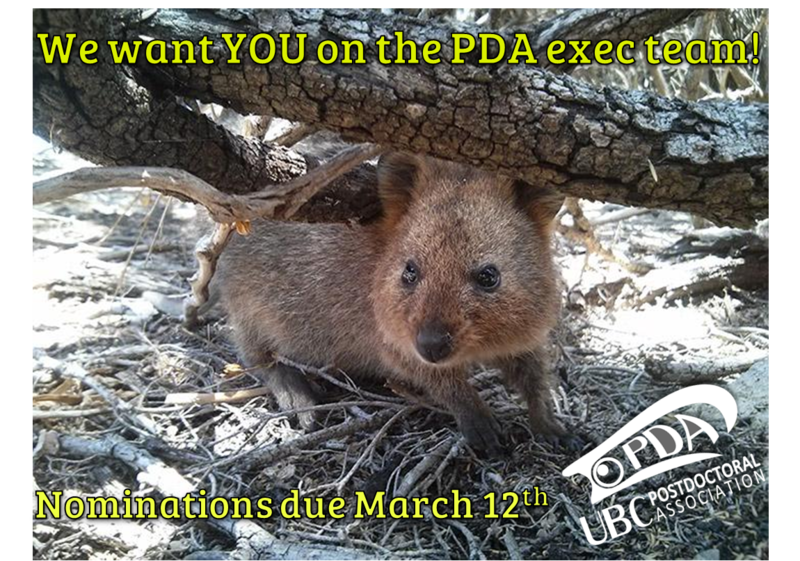 The UBC PDA is updating the association’s constitution, changing it to account for the growth of the association and it’s activities. 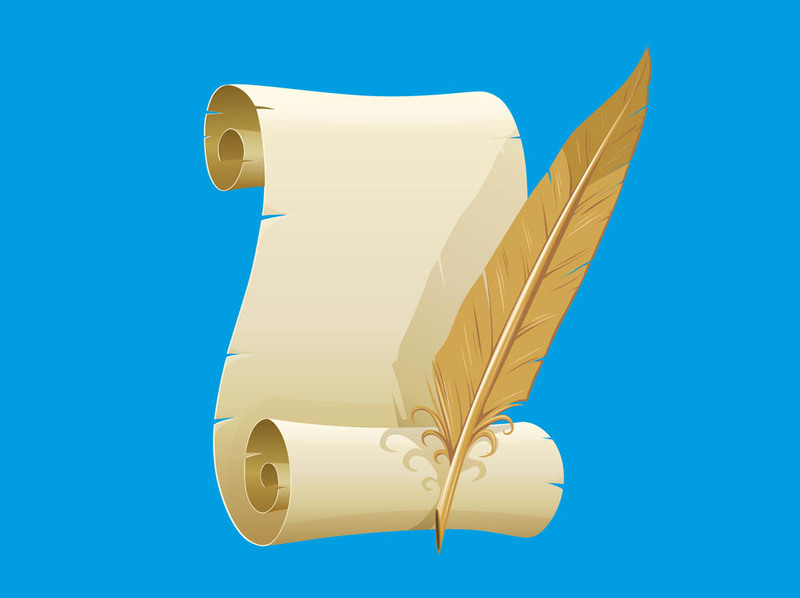 The amendments to the constitution better defines the roles of each of the officers and the committee members, as well as a set of bylaws that will help govern the association. 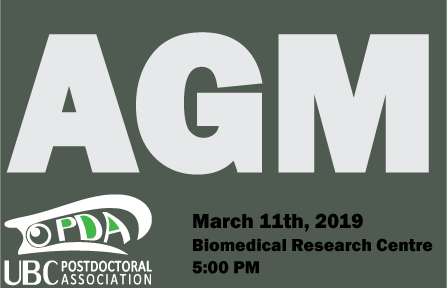 We encourage all postdocs and RAs to review the proposed changes, and send us an email with thoughts, concerns, or suggestions. 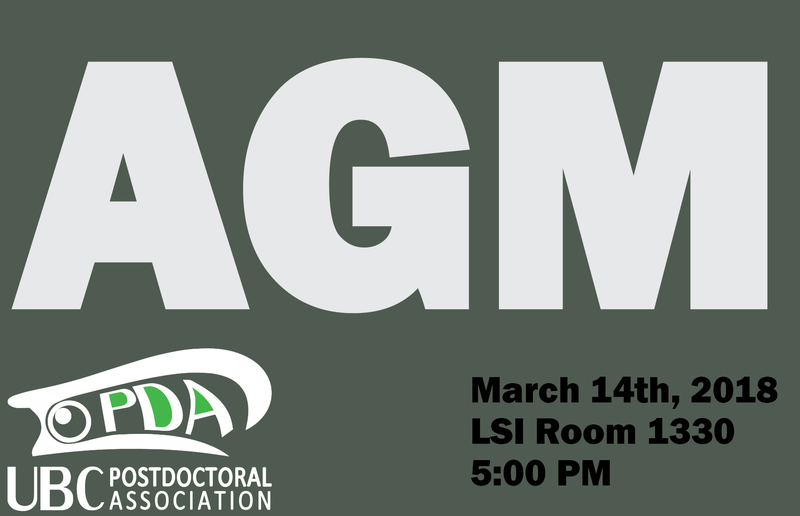 The constitutional amendments will be voted on during the next AGM, which will take place at the LSI room 1330, March 14th- 5:00 PM.